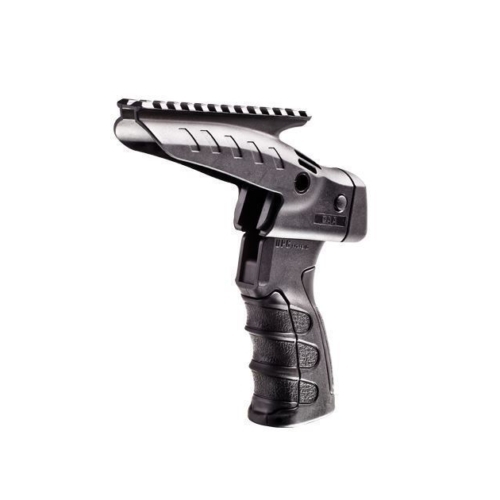 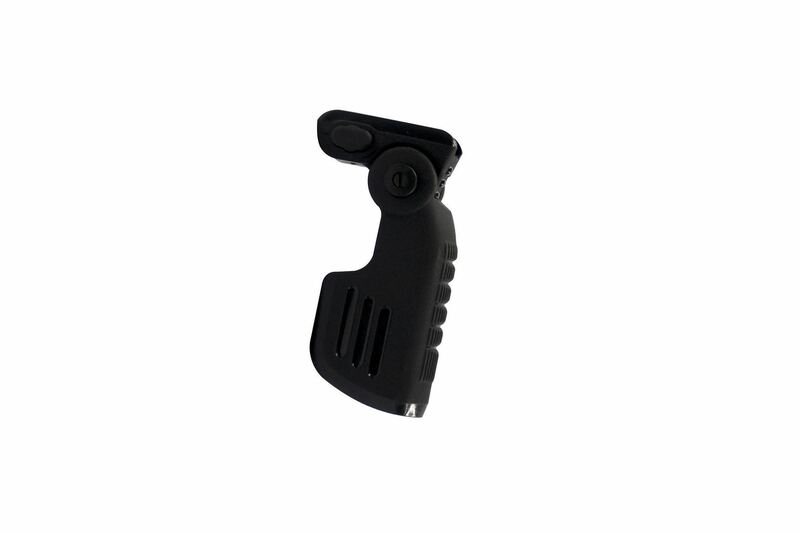 The FVG1 Folding Forward Grip is a two-positioned folding grip, made of polymer, shaped ergonomically for comfort. 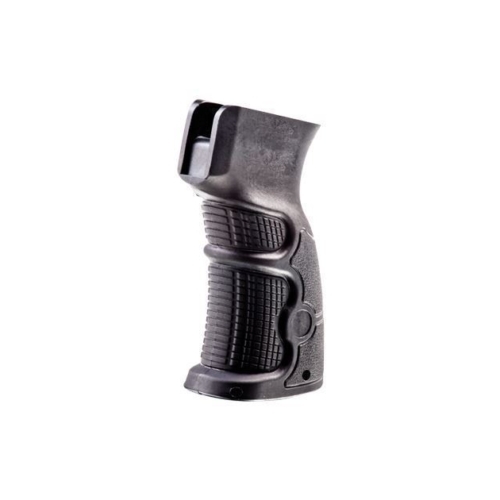 The FVG1 switches from a traditional vertical grip to a dual-positioned grip in a 90° angle. 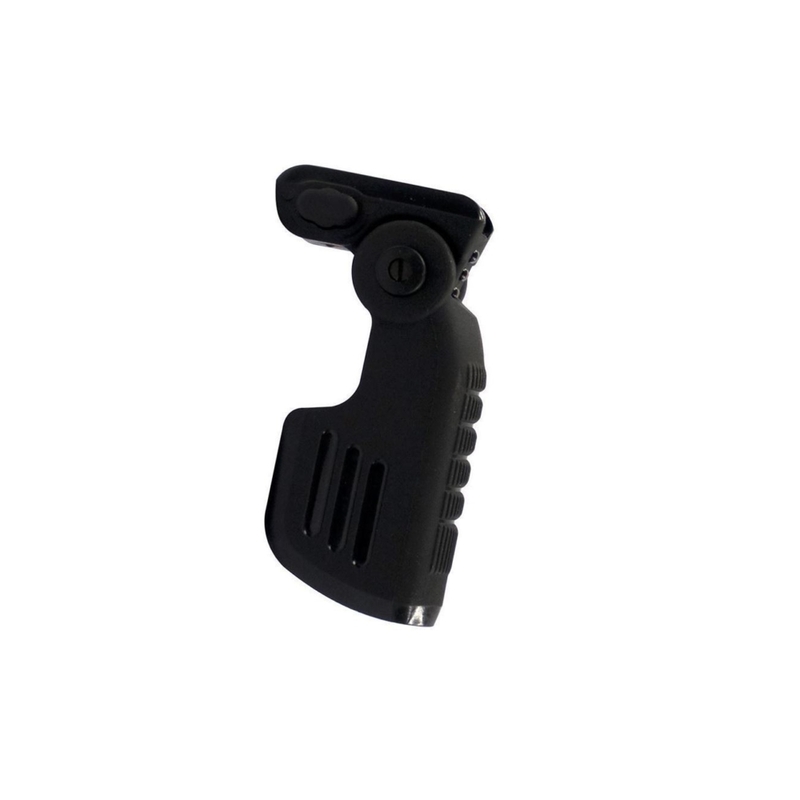 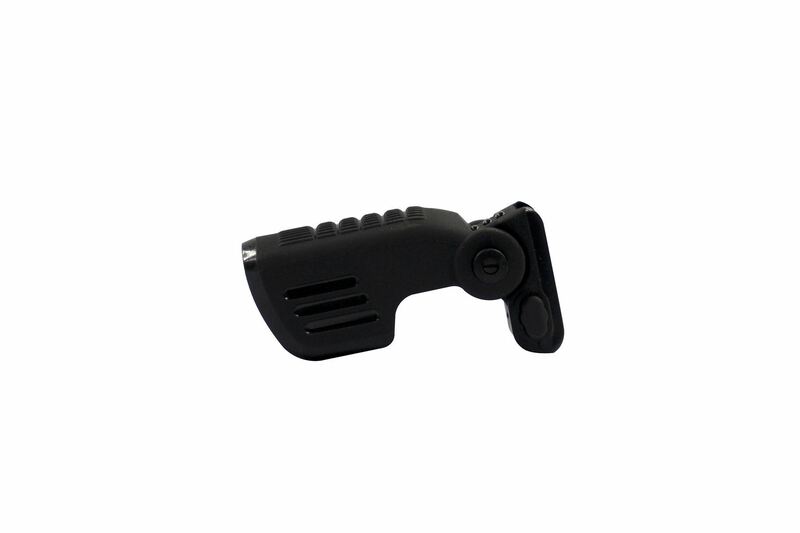 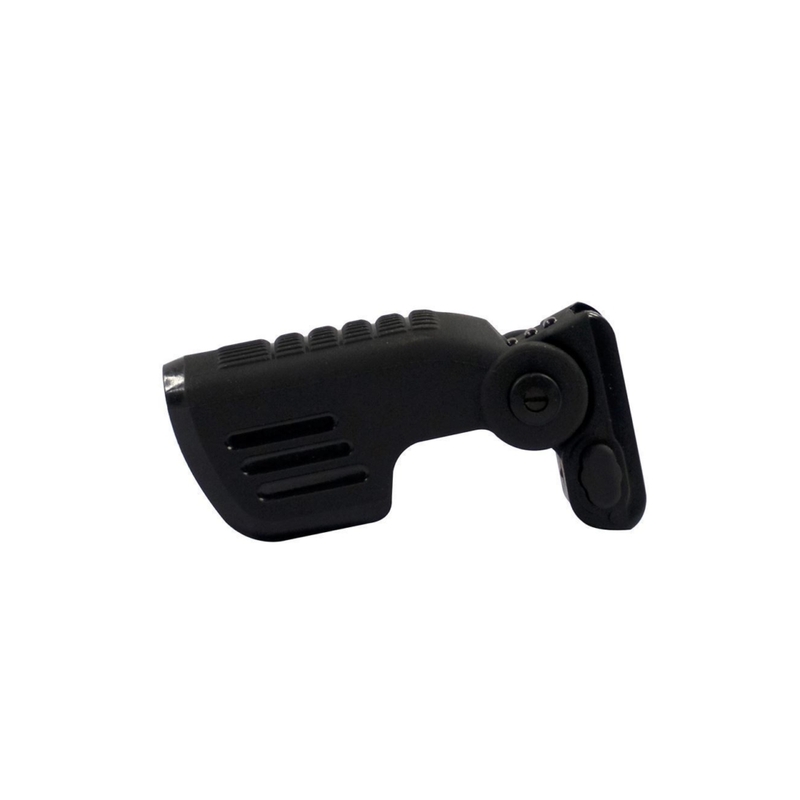 This grip provides a secure compartment also equipped with the RONI. 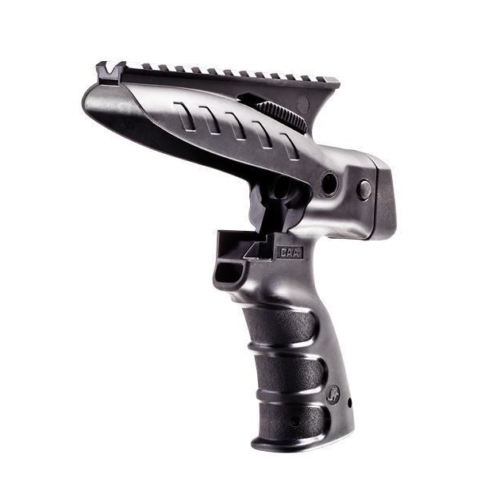 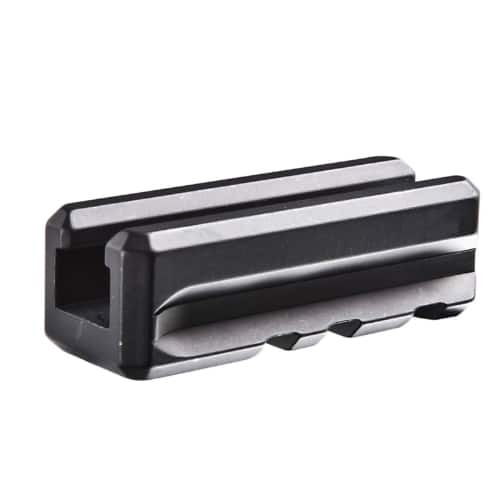 Originally made for the RONI platform, this foward grip is universal for any platform with a bottom Picatinny rail.